Canadian-born singer/songwriter Chantal Kreviazuk is known for being a Juno Award-winning hit artist who has recorded six albums and has a large following. However, in recent years she has also established herself as a hot pop songwriter who has co-written hits or key cuts for such diverse artists as Pitbull & Christina Aguilera, Kelly Clarkson, Josh Groban, Drake, Avril Lavigne, Gwen Stefani, Carrie Underwood and many others. Two recent singles which Kreviazuk co-wrote, the Top 10 hit “Feel This Moment” by Pitbull (featuring Christina Aguilera), and “Brave,” the first single from Josh Groban’s latest album All That Echoes, demonstrate her impressive versatility and range as a songwriter. During the past decade, Kreviazuk has also co-written such big hits as “Rich Girl” for Gwen Stefani and “Walk Away” for Kelly Clarkson. Notably, in 2004 she wrote six songs which were released on Lavigne’s second album Under My Skin, which debuted at number one on the Billboard 200 album chart that year. Other key artists who have recorded songs co-written by Kreviazuk include: Drake (“Over My Dead Body”), Carrie Underwood (“Unapologize”), David Cook, Joe Cocker, Miranda Cosgrove, the Veronicas, Hilary Duff. Mandy Moore, Marion Raven, Cheyenne Kimball and others. As an artist, Kreviazuk has recorded & released six albums which have been particularly successful in Canada: Under These Rocks and Stones (1997); Colour Moving and Still (1999); What If It All Means Something (2002); Ghost Stories (2006); Plain Jane (2009); and her live album, In This Life (2011), which was recorded with a symphony orchestra. In addition to writing songs for other artists and recording her own albums, Kreviazuk regularly performs live shows, often to raise money for charity organizations she supports, such as: War Child (which supports programs for children & communities in conflict in regions such as Afghanistan, Iraq, Eastern Congo and Ethiopia); mental health & addiction programs such as Baldy Hughes Therapeutic Community; and Polar Bear International (which mitigates the climate crisis through the protection of the polar bear). Kreviazuk is married to Raine Maida, who is leader of the popular rock band Our Lady Peace, and they have three sons. We’re pleased to do this Q&A interview with Chantal Kreviazuk. She tells how she got started as an artist, her love of songwriting, and co-writing with other artists. She also discusses how she wrote some of her biggest pop hits. DK: Where did you grow up in Canada, and how did you get into music? Kreviazuk: I was born and raised in Winnipeg, Manitoba. Winnipeg is so cold, we mostly stayed inside. I became a terrific ping pong player because I had a lot of time to practice. Playing ping pong is a good skill to have when I go to writing sessions at studios, there’s usually a ping pong table and I can connect with writers & musicians that way. I usually beat every boy, except (writer/producer) Nasri Atweh who can beat me! I got into music at a very early age. I would watch Sesame Street on TV and listen to the songs, and then I would play back the tunes on the piano. My dad had a farmhouse and we had a piano, and I would play piano for a long time. I became passionate about music at a young age. DK: When you first started, did you envision yourself as a pure singer/songwriter, or did you always want to write for other artists? Kreviazuk: As a young artist, I focused on writing songs for my own albums. 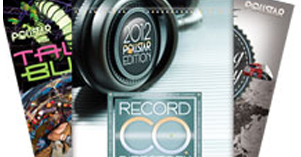 However, I eventually realized that I only needed to write a certain number of songs for my albums. I could release 11 songs for my album, and then I would go on the road, performing these same songs for the next year. But I loved songwriting, and I knew I could write songs every day. So I started co-writing more with other artists’it’s a great way to keep writing and to get more songs out there. DK: When you’re writing songs every day, how do you stay inspired, to make each writing session great? Kreviazuk: There’s the part of songwriting which is creative, emotional and inspirational, and then there’s the craft of songwriting which is the work part. This part takes discipline, courage and a strong work ethic; I respect this process. Sometimes you have to be on auto-pilot…to revisit and rework songs until you get it right. When I write with new people, you have to adjust to their personalities and their way of writing. Sometimes I would write with two other people in the studio’one person would be outgoing, but the other is quiet and introverted. I would feel the nuances…the subtle differences between the people in the room. When I’m in a room co-writing, I have to find the place of joy with my writing, regardless of what resistance or subtle factors there might be. DK: Let’s talk about some of your big hits. How did you co-write “Rich Girl” with Gwen Stefani? Kreviazuk: I went to meet with Jimmy Iovine (chairman of Interscope/Geffen/A&M Records). Jimmy asked if I could write the topline with Kara DioGuardi on a track by Dr. Dre. I wrote the high part (of the melody). There were several writers involved with this song; there was a rap by Eve, and there was a sample used. I’m indebted to Kara’she called me and made sure I received writing credit on the song. Chantal Kreviazuk on the beach with her husband Raine Maida and their three sons. DK: I really like your Kelly Clarkson hit, “Walk Away.” How did you write this song? Kreviazuk: This was a co-write between me, my husband Raine (Maida), Kara DioGuardi and Kelly. Raine wrote the guitar riff and produced the song. It was written at our studio at our old house in Malibu. I love performing and doing my own interpretation of the song. I’ve performed this song live with a symphony orchestra. DK: Recently, you’ve had success writing urban/pop hits. How did you write “Feel This Moment” for Pitbull? Kreviazuk: I wrote the hook on this song (which is sung by Christina Aguilera). I wrote the piano chords and the hook. As it turns out, this hook and the chords fit perfectly with a sample they liked by the group A-ha (“Take On Me”). DK: Is it more challenging to write songs in the urban & hip-hop vein? Kreviazuk: I enjoy working with urban artists. For me it’s not really a different approach, because I’m still contributing as a pop songwriter, writing the melody, hook and lyrics. There’s definitely a current trend, with pop melodies & hooks being combined with hip-hop tracks and rap. It probably started when Eminem collaborated with Dido (sampling Dido’s song “Thank You” for his hit, “Stan”). DK: When you work with urban artists, or with young pop artists, are they familiar with your background as a successful singer/songwriter? 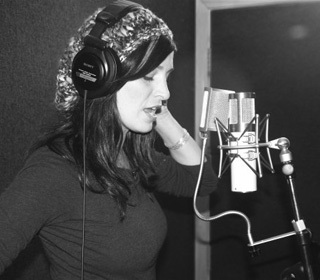 Chantal Kreviazuk recording vocals in the studio. Kreviazuk: Sometimes they know me and sometimes they don’t. In a way, I’m lucky compared to more famous (Canadian) singer/songwriters like Sarah McLachlan or Alanis Morissette, who I’m friends with. I can go into a writing session as the underdog. I like being the underdog; the less the co-writer knows about me the better, because it fuels me and makes me have to work for it. DK: Regarding your career as an artist, what are your current plans? Kreviazuk: I will be recording another album, and promoting it my way. I’m continuing to play live shows, mostly in Canada for charities, special events and corporations. I play shows for charities I support’I just came back from Niagara, Ontario, where I played a concert on behalf of the War Child organization. I do a lot of advocacy for charities. DK: Do you work with a manager and publisher, who help you with promoting your career and setting up collaborations? Kreviazuk: Yes. I have a great manager, Jules Dougall. She’s one of the most dedicated, committed people I know, and she really champions me. She’s worked with me for a year, and I feel like I’m finally where I’m supposed to be. I also work with Jim Vellutato and Katie Welle (both Vice Presidents of A&R at Sony/ATV Music). Jim has hooked me up with some of my favorite writing sessions; he’s always believed in me. Katie also has great vision and works hard to pitch my songs, set up co-writes and follows through. And of course, I love working with my husband, Raine. We co-write together, and we’re busy raising a great family. I’m glad that (in recent years) I’ve focused more on songwriting rather than performing & touring. I now have a lot more flexibility with my time, to spend with my family.